We have concluded the first series of HSCRF Google Talks. For the past 15 months our focus was on “Wealth” which broadly includes finances, body, mind and speech. The team Of Aptaputras and Mahatmas have done an excellent task in capturing the principles of Holistic Inner Science as they relate to wealth. The talks begin with a general introduction on this topic and then Q&A with the audience. Aptaputras have done a marvelous job of providing scientific answers to the audience’s pointed questions. 1. More participation from Mahatmas and their non-mahatma friends. 2. Feedback from non-Mahatmas. Are the talks useful? Are they easy to understand? Are they beneficial? Are they practical? Are the ideas implementable? 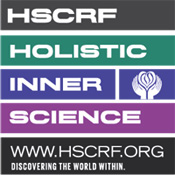 HSCRF Google Talks are scheduled on third Sundays of each month at 9:00 PM EST. Manish Shah, Mahen Gosar, Kaushal Trivedi, Punita Desai and Avani Desai. USA : May 28 [PST/-12:30hr] 20:30 to 21:30 hr. USA : May 28 [CST/-10:30hr] 22:30 to 23:30 hr. UK : May 29 [GMT/-4:30hr] 04:30 to 05:30 hr. AUS : May 29 [AEST/+4:30hr] 13:30 to 14:30 hr. NZ : May 29 [NZST/+6:30hr] 15:30 to 16:30 hr. We hope everyone is excited to celebrate this year’s GP in the divine presence of Dadaji and all Dev-Devis at the Shakti Mandir of Atlanta. Please note that Guru Purnima & Youth Shibir 2016 starts on July 16 (Sat) afternoon and ends on July 19 (Tuesday) evening. Delta Airlines- Group Name: Jai Sachchidanand Sangh 2016 and Group Ticket Designator: NGF84. We ardently await to celebrate this year’s GP & Youth Shibir and welcome Mahatmas from all corners of the world! USA : May 25 [PST/-12:30hr] 20:30 to 21:30 hr. USA : May 25 [CST/-10:30hr] 22:30 to 23:30 hr. UK : May 26 [GMT/-4:30hr] 04:30 to 05:30 hr. AUS : May 26 [AEST/+4:30hr] 13:30 to 14:30 hr. NZ : May 26 [NZST/+6:30hr] 15:30 to 16:30 hr. We are extremely sorry to inform you that PP Shree Kanudadaji’s Satsang today stands Canceled. Dadaji has blessed us all and has said "We will be meeting very soon." USA : May 20 [PST/-12:30hr] 22:30 to 23:30 hr. USA : May 21 [CST/-10:30hr] 00:30 to 01:30 hr. USA : May 21 [EST/-09:30hr] 01:30 to 02:30 hr. UK : May 21 [GMT/-4:30hr] 06:30 to 07:30 hr. AUS : May 21 [AEST/+4:30hr] 15:30 to 16:30 hr. NZ : May 21 [NZST/+6:30hr] 17:30 to 18:30 hr.